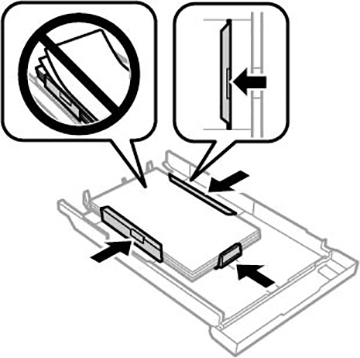 If you see a message that paper has jammed in the paper cassette, follow the steps here or on the LCD screen to clear the jam. Press the reset button to close the output tray. 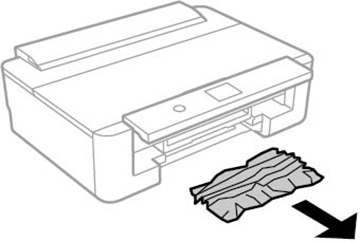 Remove the paper cassette and carefully remove any jammed paper. Load new paper in the cassette and make sure the paper is under the edge guides.